Brush Bistro Sticks with Melted Butter. 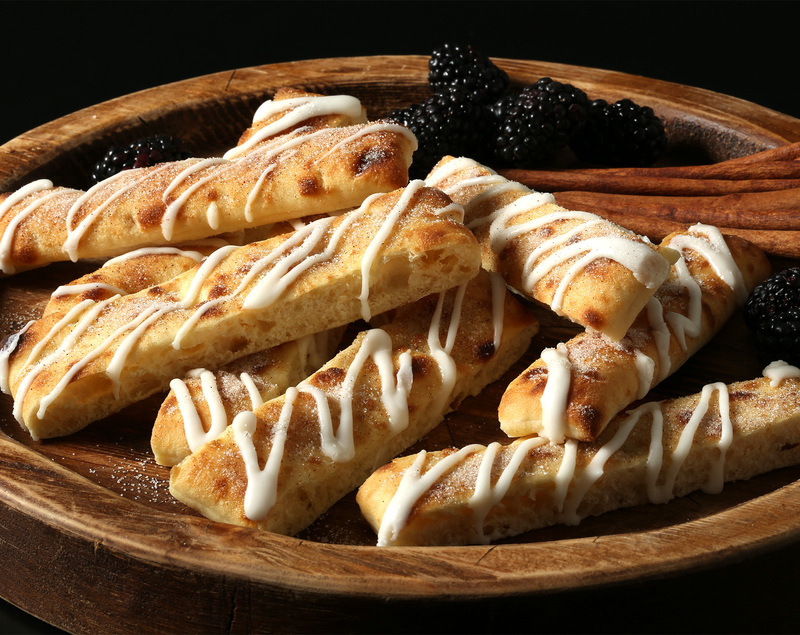 Combine Sugar and Cinnamon and spread evenly across Sticks. Place on Oiled cookie sheet and bake uncovered for 7-8 minutes at 400 degrees. Drizzle prepared cookie icing along baked sticks if desired. Serve immediately. Yield 9 Bistro Sticks. Recipe may be doubled as needed for additional sticks.